Cupping, also known as myofascial decompression, is a traditional Asian medical technique. Cupping works to alleviate pain and tightness, improve range of motion and aids in detoxification. Glass cups and a flame are used to create suction on the skin. This increases blood flow and manually breaks up fascial adhesions. By creating more space between muscle, fascia, and bone, the range of motion is improved and pain is reduced. Old stagnant blood is flushed out of the tissue and fresh new blood infuses the area to promote faster recovery and healing. Cupping feels similar to massage and most people find it very enjoyable. The cups often leave purple or red marks that can indicate areas of poor circulation and blood stagnation. These marks will fade within 1-5 days. Areas that take longer to fade indicate less blood flow to those tissues. The feeling can be quite intense in some areas but the sensation can be adjusted to allow for more comfort. Cupping is used primarily for detoxification, muscular tightness, circulatory dysfunction, and treatment of respiratory symptoms. 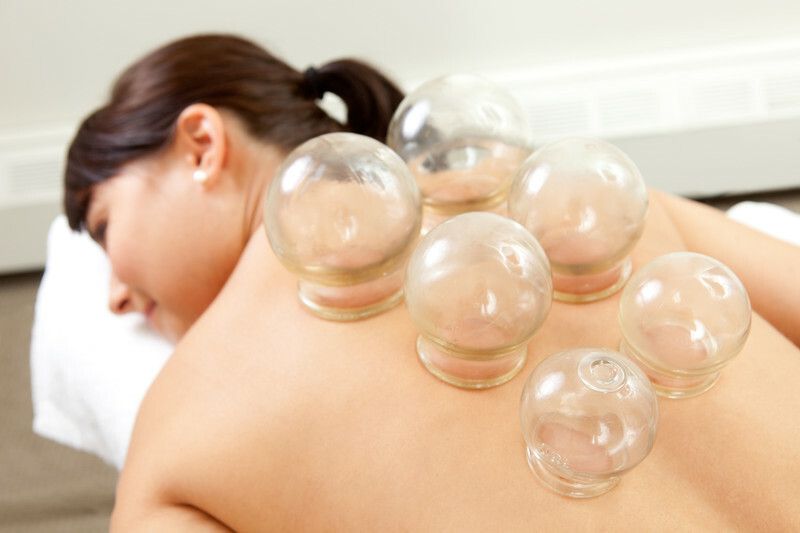 Cupping sessions are often performed during an acupuncture treatment, but can also be scheduled as a stand-alone treatment.